April 24, 2018, Fort McMurray, AB – The Fort McMurray Food Festival Committee launched ticket sales Tuesday for the 2018 ATCO Fort McMurray Food Festival. The festival, which takes place from Wednesday, July 25, 2018 to Sunday, July 29, 2018, features seven fun-filled events for participants of all ages. Proceeds from the five-day festival will go towards supporting Waypoints, a local charity organization that works to support and assist individuals and families of domestic violence, abuse, sexual assault and homelessness through prevention, treatment, intervention and referrals. Proceeds from the Food Truck Showcase taking place on Wednesday, July 25, 2018 will support the United Way of Fort McMurray. The best food trucks in Fort McMurray and some visiting trucks from around Alberta will gather in one location by the Urban Market to create the perfect outdoor street festival experience to kick off the 2018 ATCO Fort McMurray Food Festival. Live entertainment by Mix 103.7 and 100.5 Cruz FM will keep the party going throughout the afternoon and a beer garden hosted by the Wood Buffalo Brewing Company will keep guests energized. The team from Finning will also be out with CAT heavy equipment and fun activities for all. The Best Pub Food Club returns to Fort McMurray with three Diversified coach busses that will ferry people to some of the best pub food locations in town. Each bus will be hosted by talent from Country 93.3 and 97.9 Rock. The busses will start at Earls and finish at Prime Social Bar-BQ where there will be live entertainment. At the end of the night, participants will vote on their favourite appetizer, drink and overall experience and awards will be presented to the winning establishments. Don’t miss the fun, free and family-friendly Annual Summer BBQ taking place at the Oil Sands Discovery Centre this July. Guests will enjoy a delicious BBQ lunch compliments of the ATCO team and local entertainment by DJ Q-Pid. This event will also include the launch of the 2018 YMM Food and Entertainment Guide giving our residents and visitors an ultimate guide to dining and fun in Wood Buffalo! This must-attend event takes place under the beautiful canopy at the Fort McMurray Heritage Shipyard. This fun, Jamaican-themed night will feature gourmet Jamaican street food from local, award-winning restaurant Chez Max Jamaican Cuisine and Chef-To-Go Meals. Mix 103.7 will be hosting the event along with a line-up of local bands and DJ Q-Pid. Get ready to dance the night away under the stars in one of the hottest returning parties of 2017 with signature drinks at the Aluma Safeway Bar and the Main Bar sponsored by the Wood Buffalo Brewing Company. The long-standing Taste of Fort McMurray presented by Suncor returns again in 2018 and will take place at Heritage Village. There will be food vendors set up offering up a sample of one of their best dishes. Your ticket purchase gets you your food passport for each vendor. Stamp your passport and try them all! The event will be hosted by Mike Jones of Country 93.3 and Brieanna McCutcheon from Shaw. Nothing says summer like an outdoor concert with the best brews in town. Join us at Heritage Village for an intimate concert. Bar sponsored by the Wood Buffalo Brewing Company who will also be hosting an official after-party following the concert at their location downtown with more country music entertainment! 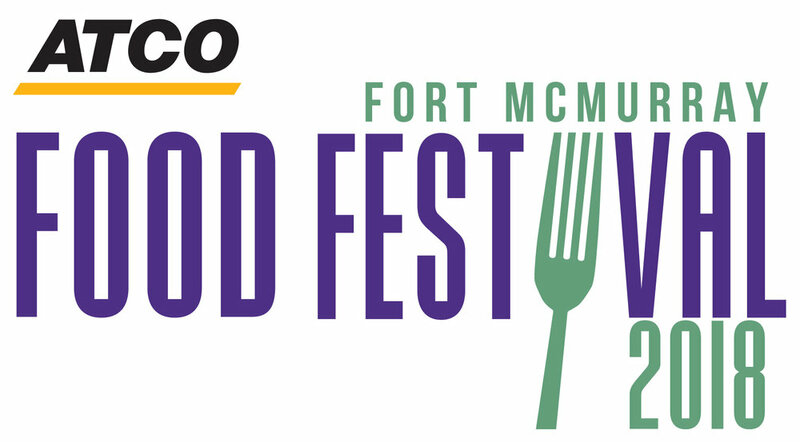 The ATCO Fort McMurray Food Festival goes regional for the first-time! Join us for a day on the beach at the first-ever Anzac Grocery Store Beach Party! This family-friendly event will feature live entertainment hosted by 91.1 The Bridge, games on the beach, bannock-on-a-stick, free cool treats and a BBQ by donation to Waypoints! For more information, or to purchase your tickets for the most anticipated festival of the year, visit the YMM Food Festival Facebook page under events. .